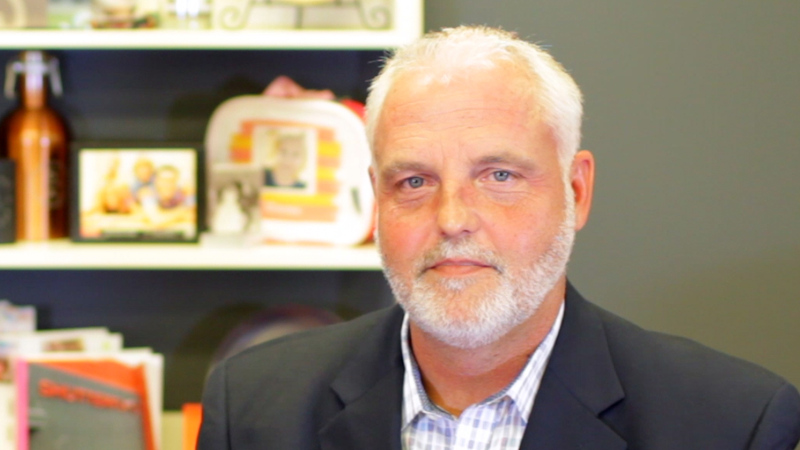 Dwayne Black, COO of Shutterfly, talks about the key to success at the company. They are both innovators and fast followers. They know how to scale. They are focused on a single business. Hear what he has to say about the secret of their success. Shutterfly COO Dwayne Black admits that there is no reason Shutterfly should have succeeded, let alone become the market leader. When he joined the company a decade ago, Shutterfly was #3 in the business behind Snapfish (acquired by HP in 2005 and then sold to District Photo in 2015) and Kodak Gallery (acquired by Shutterfly in 2012). He credits the company’s singular focus – in the consumer products and memories business – with its success, pointing out that others for whom this is not their core business have had a more difficult path. The WhatTheyThink team was able to see what he meant first-hand on a recent visit to the company’s Shakopee MN facility, one of three (the other two are in Arizona and South Carolina). They even let us in with cameras, only the second time that has ever happened with the other time being ABC’s Made in America! The nearly 250,000 square foot manufacturing floor is quite a sight! Imagine your business being able to process hundreds of thousands of orders per day with close to 100% accuracy. And we left duly impressed. Black says the secret sauce lies in the workflow, an integrated platform that includes its three plants and its certified partners. 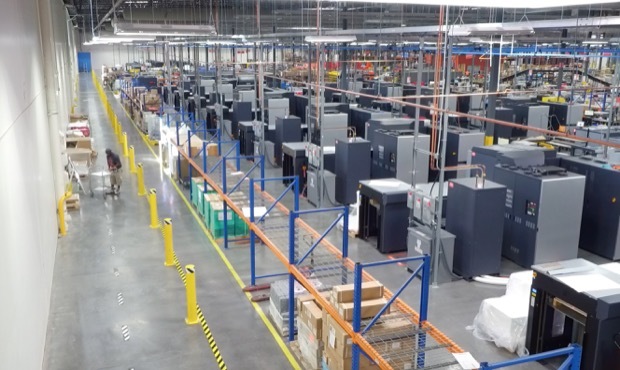 The core of its production platform includes more than 200 CMYK devices from the likes of HP, Xerox, Canon, Epson and Konica Minolta, including the 25 new HP Indigo 12000s the company purchased at drupa 2016 and located in its Arizona facility. The company has about 2,300 employees, with about 1,400 of them in operations. . During peak season, temporary employees nearly double the staffing level. 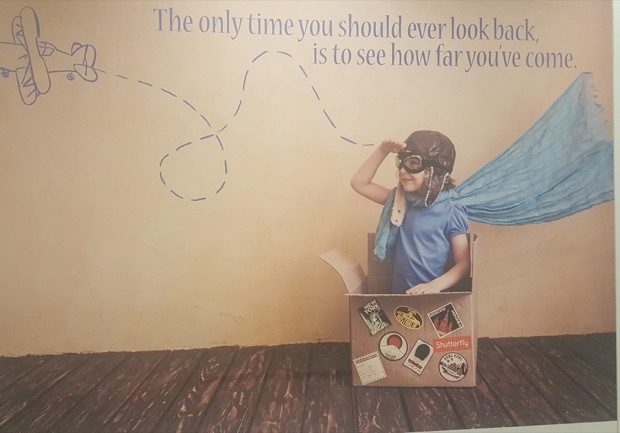 The company displays many beautiful photographs by employees throughout the facility, mingled with inspirational posters, for a welcoming work environment. In addition to its photo products work, Shutterfly also has a HIPAA-certified business serving Fortune 500 companies – Shutterfly Business Services (SBS) – which helps balance peaks and valleys by producing printed materials and marketing collateral for health care, financial services and other industries. The manufacturing floor is organized in cells dedicated to producing a single type of product from beginning to end – that means from order receipt through packing the goods for shipping, with the most complete automation I have ever seen in a printing operation, with virtually no human touches for many of the products. Each cell includes a ‘kitchen’ that has all the raw materials operators need to do their job. Operators are also cross-trained so that when work is finished in one cell, they can seamlessly move to another for the ultimate in productivity. It’s extremely clean and organized, using all the latest lean manufacturing techniques. Black explained one example of this automation: If a product happened to fall to the floor (which probably doesn’t happen much from what I could see! ), the system would know that it didn’t reach the next point in the workflow and would automatically generate a duplicate. While there is plenty of quality control in place throughout the process, there are also system controls in place to eliminate as much error and human intervention as possible. Shutterfly was entering peak season as we visited, and was expecting to produce hundreds of millions of million holiday cards on its all-digital platform. Its updated web site is expected to make it even easier for customers to place orders, driving volumes up even more as the company continues to grow. I’ll admit, it has been a long time since I used Shutterfly. In fact, at the time, my digital camera was set so that the photos didn’t have a high enough resolution for printing. I found the interface clumsy and a bit frustrating. But now, it’s very user friendly. I designed a calendar, and found it to be a very positive experience. We also saw a lot of products you wouldn’t normally think about as coming from Shutterfly, including laser engraved glass and other non-photo personalized gift items. According to Black, the average launch time for a new product is 60 days. If it uses an existing form factor, it can be up and running in two to three weeks. The company is constantly looking for new ideas – and some stick and some don’t. New products are typically launched in the first three quarters of the year. “We are an innovator,” he said, “but we are also a fast follower who can scale. Scaling is the hard part. In our business, close to 56% of the revenue comes in the 4th quarter, and most of that comes between Thanksgiving and Christmas. The key to our success long term is to create a workflow that is as automated as possible but flexible enough to do lots of different products and doesn’t require the level of temp labor we use today. This accessibility is also driving growth in photobooks. “People used to consider photobooks as items for special occasions,” Black said. “But now we see people doing more unscripted books, more natural life events. They might be going to a NASCAR race or on a family camping trip and want to preserve those memories. WhatTheyThink was flattered and pleased to be able to visit this outstanding company, and we extend our thanks to Dwayne Black, Eric Kok and the rest of the Shutterfly team, for their generous hospitality, as well as to HP for helping us get the visit set up.